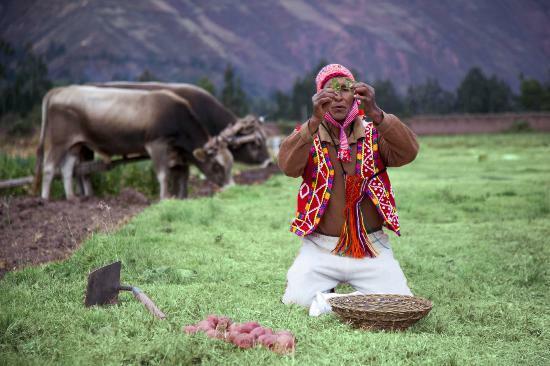 Incas of old-world Peru believed that Pachamama incarnated the Earth. 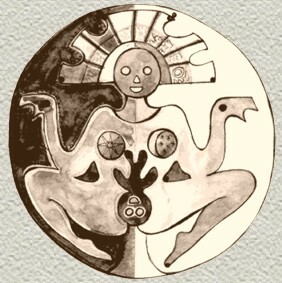 The Pachamama or Earth queen, inhabits in the Urkhupacha, the Underworld, and fits out her harvests to nourish Human. 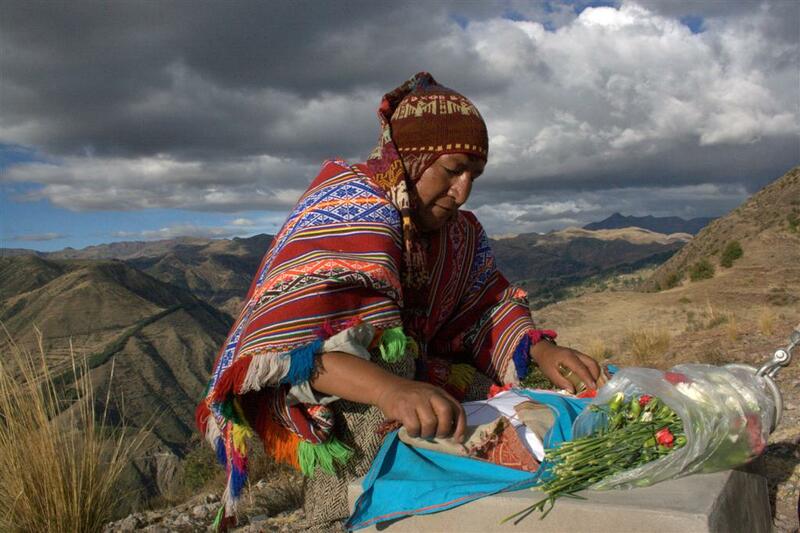 Thus, within the retaliatory nature of the Andes, in August bucolics make offerings named pagapus. These tributes can contain wine, chicha, unwrought silver, coca leaves and jungle seeds named huayruro believed to have spellful mightiness. These tributes are made to the Apu, the esprits of their predecessors who live within the mountains. 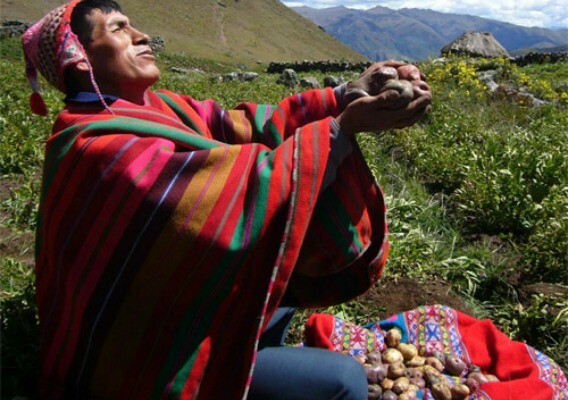 The coca leaf, a holy plant which helps to mediate between the inner world (the Apu and the Pachamama) and the outer world (that of Human) is found in innumerable mestizo religious festivities in societies in the country’s interior and even city centers. Strew over a blanket on the ground, coca leaves are then “read” to forecast the times to come.